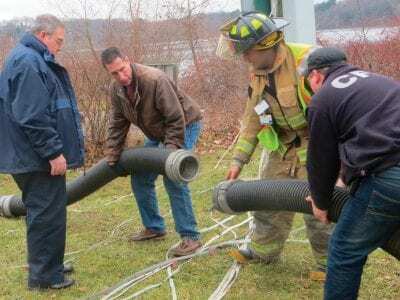 Firefighters connect lengths of hose used to remove the water from the flooded shaft. A State of Emergency was lifted Tuesday at noon in the Hamlet of Carmel due to a flooding condition at the town’s water system pumping station, but town offic… Please login below or purchase a subscription to the Putnam County Courier to access this content. Garrison resident and former Governor George Pataki is seriously considering a run for President in 2016. Pataki made his plans public at a private Republican gathering in Albany last week at which each of the state’s GOP chairs had been… Please login below or purchase a subscription to the Putnam County Courier to access this content. 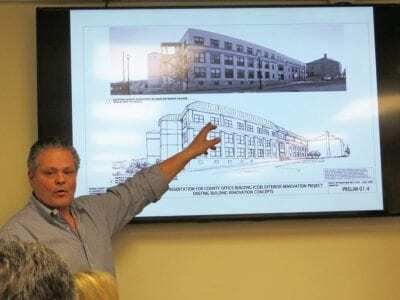 Legislature Chairman Carl Albano examines artist’s renderings of the Putnam Office Building at a meeting of the Legislature’s Physical Services Committee. The exterior of the Putnam Office Building is in need of rehabilitation. Commission… Please login below or purchase a subscription to the Putnam County Courier to access this content. Four prominent Putnam residents have expressed outrage over Saturday’s assassinations of two New York City cops who were gunned down while seated in their police cruiser in downtown Brooklyn. 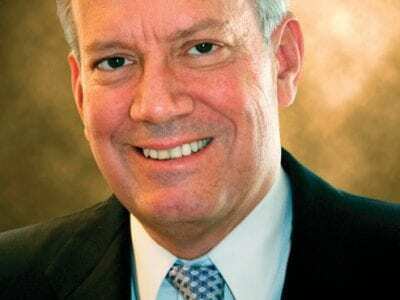 Former Governor George Pataki of Garrison and soont… Please login below or purchase a subscription to the Putnam County Courier to access this content. The Putnam Legislature concluded business on a lengthy note Monday when for three and one half hours lawmakers discussed and debated a series of resolutions during its Year End meeting and the final Audit meeting of 2014. The Audit meeting consisted… Please login below or purchase a subscription to the Putnam County Courier to access this content. 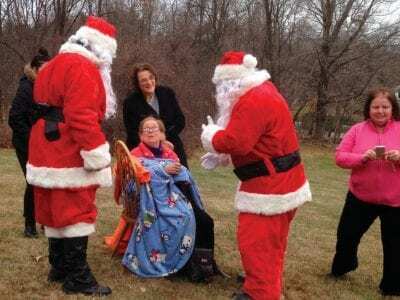 Mahopac firefighters and Santa Claus assist Aunt Ann from Dublin following Saturday’s fire call at the Peter Convery residence in Mahopac. Putnam Undersheriff Peter Convery was never more pleased to see Santa than he was Saturday when the jolly… Please login below or purchase a subscription to the Putnam County Courier to access this content. Kiara Mora (right) of Carmel assists Sonam Sherpa, 5 and her seven year old cousin, Jamling Sherpa, create Christmas bells. Sonam and Jamling relocated to Brewster from their native Nepal with their families. 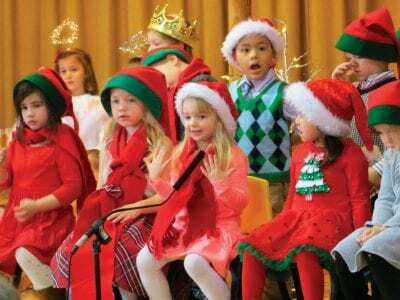 From Nelsonville to Nepal and from Bangko… Please login below or purchase a subscription to the Putnam County Courier to access this content. Toys galore will be distributed on Christmas morning thanks to the membership of the Putnam Chapter of the Fraternal Order of Police. Putnam’s Stephen Driscoll Chapter of the Fraternal Order of Police has aided the community’s underprivil… Please login below or purchase a subscription to the Putnam County Courier to access this content. Kent Police Sgt. Kevin Owens donates blood during last year’s holiday drive. 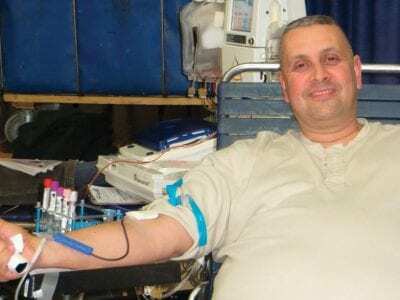 Christmas will be here and gone in a matter of hours but the gift of life can still be offered on the day after Christmas when Putnam’s semi-annual blood drive s… Please login below or purchase a subscription to the Putnam County Courier to access this content.